No one understands the need and desire to fix a car like us! We have single handedly been through the process of built and rebuilt, many times, and can provide you with your car needs, including car parts! Contact us today at (847) 317-9880! Knowledgeable, honest repair shop with great customer service. Honest and reliable automotive repair shop. I would highly recommend Golz to anyone. 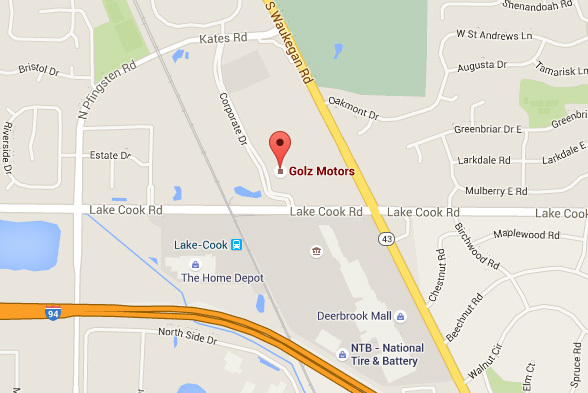 Golz Motors is a great place to get your car fixed. Jeff and Glen are as honest as they come and their staff is excellent!!! I have been taking my cars to them since they originally opened their shop in Deerfield 20 plus years ago. I highly recommend Golz motors!! The best place to take your English, German, or Italian vehicles. They do restorations and work on anything, specializing in high end vehicles. Most reliable and trustworthy auto mechanic; Works on from Bentley, Maserati to any auto that needs service, Golz will do the job without wasting your money on unnecessary repairs.